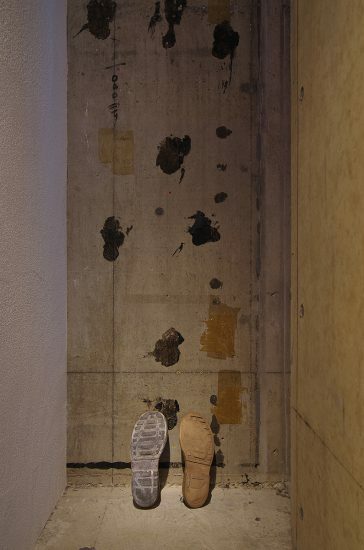 This shoe sole was used by me from 2008 to 2012. This is a sculpture made by me and the ground. 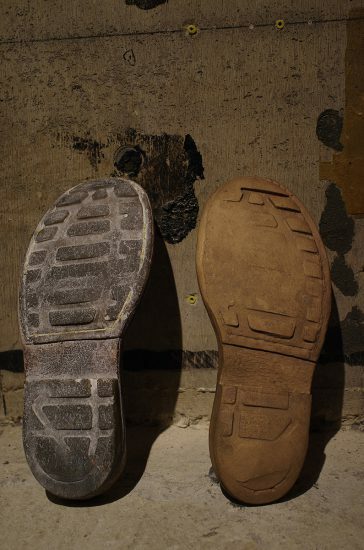 read the explanation for "The Soles of Workboots"